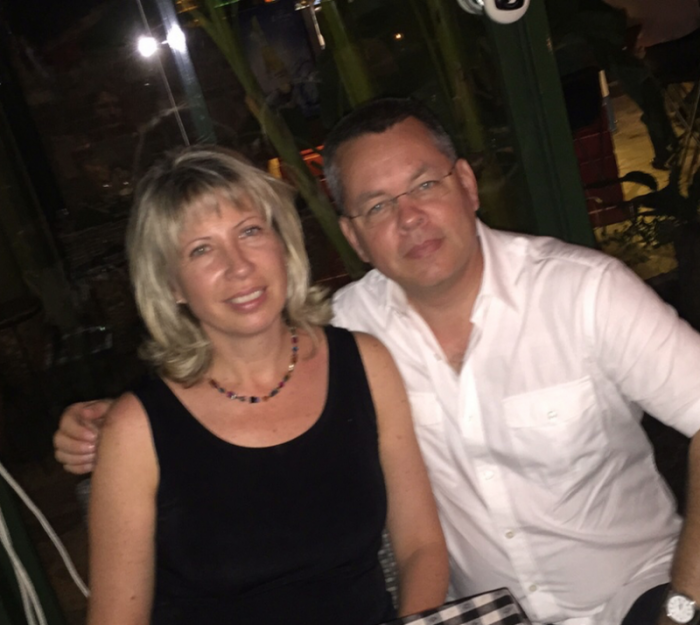 President Donald Trump's administration has reportedly been taking several steps to try and appease the Turkish government and convince it to release evangelical Christian pastor Andrew Brunson, who faces 35 years in prison on terror charges. The Wall Street Journal said on Wednesday that as Brunson's first court hearing is approaching later in April, the White House has been seeking to implement stategies to smooth relations with its NATO ally. The steps taken include asking U.S. lawmakers to scrap a measure that would have barred Turkish officials connected to Brunson's detention from coming to America. They also include calls to drop charges against members of Turkish President Recep Tayyip Erdogan's security team, who were accused of beating protesters in Washington D.C. last year. Some critics have questioned the effectiveness of the strategy, however, with one Senate aid familiar with the case stating: "Despite the fact that the Turks have an almost 100 percent track record of responding to sticks, we still feed them carrots." The aid, who wasn't named, added: "It makes no sense." Brunson, who led a small congregation in Izmir for two decades before his sudden arrest nearly 17 months ago, is being accused of working with Islamic cleric Fethullah Gülen and the outlawed Kurdistan Workers Party, seeking to overthrow the Turkish government. Brunson has categorically denied all charges, with persecution watchdog groups, such as the American Center for Law and Justice, stating that Turkey has not provided a single shred of evidence for its accusations. CeCe Heil, senior counsel at the ACLJ, praised both Trump and Vice-President Mike Pence for bringing up the pastor's fate in their talks with Turkey. "President Trump has been very involved and active, so has Pence, and that's really unheard of for the administration to be so heavily involved at every level," Heil has said. Sen. Thom Tillis, R-N.C., who visited Brunson in prison late in March, said that the U.S. government is facing a balancing game in its dealings with Turkey. "I would consider him a political prisoner," Tillis said. "What we are trying to do is strike a balance with a country we want to maintain good relations with and an indictment that is really beyond the pale." Jacqueline Brunson, the pastor's daughter, has separately spoken before the United Nations Human Rights Council, calling the allegations against her father "absurd." "Having grown up in Turkey, it has been hard for me to understand the situation. My family loves and respects the Turkish people, and my father has been dedicated to serving them for over two decades," she said during a hearing in March, speaking on behalf of the European Center for Law and Justice in Geneva.